Marvin White was practically unhittable in high school. Actually, he was literally unhittable. Throughout his high school career at Asher High School in Midwest City, Okla., White threw a total of 11 no-hitters, according to the Oklahoma Baseball Coaches Association. White went on from Asher to Southeastern Oklahoma State and to the pros. His pro career, though, was brief. It was also limited to coaching. He never played professionally. White's stint in baseball began at Asher. He played there from 1976 to 1979. He went 24-1 in the 1978-1979 season. He won 48 games over his career. From Asher, White is credited as going on to Seminole State College, then to Southeastern Oklahoma State. He was at Southeastern from 1982 to 1983. In 1981, White was drafted by the Phillies in the 11th round of the January draft. He did not sign. He's not listed as being drafted again. White went on to Texas Tech as a coach, according to his ProCards card. By 1989, he was with the Rangers, serving as pitching coach at rookie Butte. He moved to single-A Gastonia for 1990, serving as pitching coach there. That May, one of White's pitchers, Ronaldo Romero, passed away due to a heart condition. "When someone dies you always try to find something good to say about them, but this kid was unique," White told his hometown Oklahoman newspaper. "He was unique in the fact that he would come to the park every day with a smile on his face." 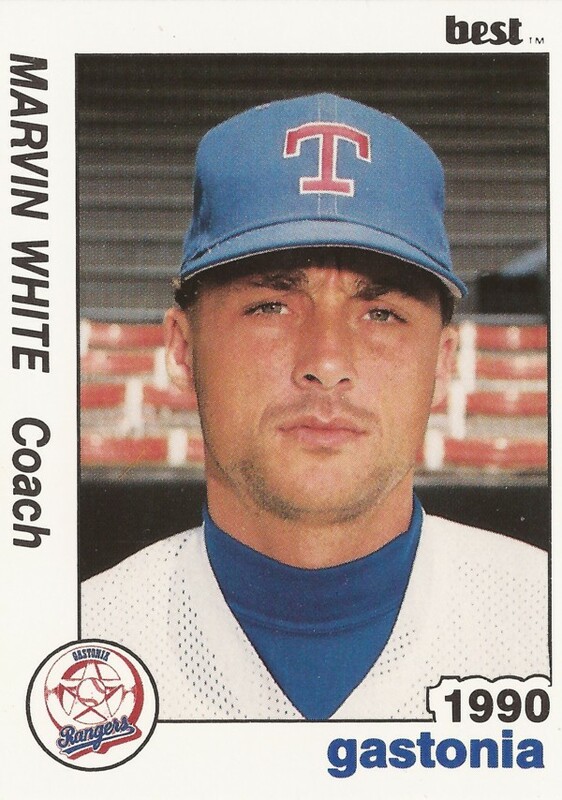 White apparently stayed with the Rangers system through 1994, when his contract was not renewed.